Themify.me is a hot new themes sites on the block. Featuring over 80 premium wordpress themes, that are pretty awesome in their styling, function and design. You can buy their themes individually for around $49 a piece, or get access to their ENTIRE theme library for only $79. Plus, with our hand verified, guaranteed to work coupon codes, you can save an extra 20%!! Check out our recent review of Pippity – our editors choice Lead Capture and Opt In builder plugin for WordPress. Their system creates beautiful opt in forms, that are not spammy looking or annoying, and prompt users a specifically determined times, to capture the highest opt in rate. Their opt ins are created for web designers who are NOT wanting to turn their visitors off by annoying pop ups, but rather presenting them with an incentive to share their email, after reading and (hopefully) enjoying your content. Here is a great coupon, that will save you 25% off any license of the awesome Pippity plugin. Leave a comment below and let us know if it worked for you! Pippity is our favorite pop up plugin for WordPress. The graphics, customization options and features are top notch. It is a bit pricier than other options, but in our opinion, it is more than worth it for the huge conversions that it produces. You can go cheap with a pop up plugin, but remember your goal is to keep visitors on your site, and get them to take an action (optin into your list, downloading a report, making a purchase, etc. Optin Skin offers awesome split testing capabilities that will show you which of your pop ups is working, which might be turning away customers, and which is converting like crazy. We love their interface for this, and their easy to use configurable widgets. OptinMonster is the best lead-generation plugin for WordPress that allows you to create attention grabbing optin forms that convert. This plugin is the best value if you are on a budget for your site development. Ninja Popups combines a professionally designed popups to convert visitors on your site/blog into taking an action whether its subscribing into your newsletter, offering a discount/coupon for leaving customers, or locking content until they share you will increase your subscriber count and social signal of your site/blog. The popup is unblockable since it uses HTML layers instead of actual pop-up windows. A lightbox effect dims the screen behind the popup to prevent them from being distracted by what you have underneath… and eager to fill out the popup form so they can get back to what they were doing. The popup will appear after every visit, but once they subscribe to your list… no more popups. If you pay attention to your webstats, you’ve likely come across regular hits coming from a crawler/bot called “Semalt”. According to their site and some other blog sites, the bot is not hitting your site with any bad intentions, but others have stated that they seem to be associated with spamming and scamming of some kind. Either way, its best to keep your site free from these bots as they can screw up your web statistics by inflating your visitor and bounce rates. The majority of sites are recommending to block this bot – and there are some great tips on doing so. They also created a tool where you can remove your website from their crawl list. A lot of sites are saying “why should we give them our domain information, when they shouldn’t be crawling our site in the first place – and there is a point there. But we did test their ignore list with a few domains, and a month later, none of those sites had been hit by semalt – so it does appear, at least in theory, to work. To add your sites to their block list, simply visit this link, and type all of your URLs into the list, and hit submit. WordPress as awesome as it is, is also one of the most popular open source CMS scripts that is out there – and we all know being that kind of popular carries the increased risk for devious hackers to find new ways to break into your site. In many cases the hackers break in only to spam your blog with tons and tons of links to less than desirable sites. Other times they can install redirects to other sites or even install malware/spyware. Regardless of the severity of the hack, we as WP users always need to be diligent about doing everything we can to protect our sites, and our customers/readers from potential security risks. Our friends over at MasterSiteManager.com (an awesome stats, rankings and SEO tracking service that we use and highly recommend) have tested and put together a great “must have” list of plugins to help protect your blogs from hackers. If you use some of these really great (and FREE) plugins, along with working with your hosting company or server admins to make sure your server is as secure as possible, you will see your vulnerability to these attacks drop significantly. 1. Restrict Login By IP – lets you specify IP addresses or hosts that users are allowed to login from. Only users that have the exact IP will be able to access the dashboard. Everyone else will get a “Forbidden” error when trying to log in or access an admin page directly. However, normal visitors won’t be affected – everyone will still be able to read your posts browse the site. 2. AskApache Password Protect – it utilizes fast, tried-and-true built-in Security features to add multiple layers of security to your blog. This plugin is specifically designed and regularly updated specifically to stop automated and unskilled attackers attempts to exploit vulnerabilities on your blog resulting in a hacked site. 3. WP-Ban – It will display a custom ban message when the banned IP, IP range, host name or referer url trys to visit you blog. You can also exclude certain IPs from being banned. 4. WP System Health – This plugin provides a new Dashboard Widget (limit to administrators) that displays information provided by 4 different categories: system, php, wordpress, database. 5. WP-DB-Backup – WP-DB-Backup allows you easily to backup your core WordPress database tables. 6. Exploit Scanner – This plugin searches the files on your website, and the posts and comments tables of your database for anything suspicious. It also examines your list of active plugins for unusual filenames. 7. WP Security Scan – Scans your WordPress installation for security vulnerabilities and suggests corrective actions. Of course, you should always make sure you are running the most recent version of WordPress and that you take regular (nightly) backups of your site so that if you are hacked, you can quickly revert to a saved version, or do a file comparison to find the injected code. Drop us a note below if you have any other tips or suggestions! Turn your photos & videos into pure amazing. Animoto very easily produces beautifully orchestrated, completely unique video pieces from your photos, video clips and music. Animoto has really done a superb job of adding new themes we can use to make video productions look really slick, plus they have given us the option to create highly professional business videos from just our photos/images & using their stock music. * and you can commercially redistribute your produced videos. You can check out all their templates, music and slick video stuff at http://Animoto.com. Highly recommended for any business looking to spruce up their site!Get started making some cool videos now!! Now go make some super cool videos for your blog or website! WordPress AutoBlogged plugin is one of the top wordpress plugins that can be used to transform your blog into a content generating, money making machine. Within a few minutes you can turn an empty blog, into an auto populating content machine. Autoblogged is a robust autoblogging WordPress plugin that can allow users to automatically create blog posts from any Atom or RSS feed. This plugin offers a number of useful features to automate WordPress blog content and provides pre-defined searches to allow easy searching of news articles, auto post filtering and RSS autodiscovery, and allows users to assign categories and subcategories to organise content more efficiently. There are three different Autoblogged licenses available, single ($59.95), multi-site ($129.95) and developer ($389). All licenses includ free support services, updates and sublicensing (with the developer license). Coupon Reveal Plugin for WordPress – Increase commissions by 300%! 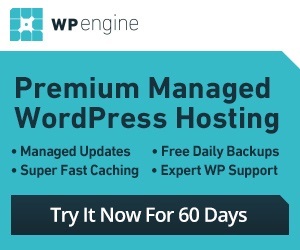 WP Now is proud to annouce the launch of a FANTASTIC new plugin for WordPress. If you are a blogger who uses coupons within your site to direct your readers to great deals, this is a must have plugin for you. The plugin has been shown to increase affiliate click throughs in some cases by over 1000%, and increase your affiliate commissions by more than 300%. In most cases, it will pay for itself in the first 2-4 weeks, if not sooner! Coupon Reveal is a feature-rich WordPress plugin that allows you to quickly and easily add eye-catching Coupon Code modules to your WordPress site, with features to ensure the click. With an intuitive, user-friendly Coupon-Creator admin, this plugin generates simple shortcode which can be pasted in posts, pages, widgets or anywhere else throughout your site to display Coupon Reveal modules. Below we detail Coupon Reveal’s extensive set of features, each one proven to increase click-through rates, improve usability and enhance the overall look of your website. LAYOUT: Horizontal and vertical layouts allow you to create flexible, attractive modules that work within any space or dimension on your site. Simply paste the shortcode into a post, page, header, footer, sidebar or widget area. SIZE: No 2 websites are exactly the same which is why the Coupon Reveal Plugin allows you to customize your Coupon modules to fit within any area. The sizing slider lets you choose the exact pixel dimensions of your coupon module, while showing you a real-time image of what it will look like. Horizontal modules start at 673 x 222, square modules start at 255×222. Both can be scaled down from there. Reveal Coupon – The most effective choice for compelling your visitors to Click! this option hides the coupon code behind a button that says “Click Here to Reveal Coupon”. No more displaying the coupon code in full view where anyone can remember it and type it in without clicking your link. Once the visitor clicks the Reveal Coupon button, the coupon code will be revealed, a new window will open to the target web page, and you’ve just ensured your commission! Activate Offer – Don’t have a coupon code? No problem. This option gives you an eye-catching way to advertise promotions that don’t require the use of a coupon code. Let’s say the company you’re promoting has just reduced their price by $50 and you’d like to send your visitors to that purchase page. 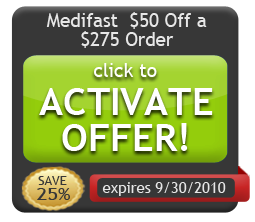 By advertising it as a Special Offer they must “Click to Activate,” you are guaranteed an increased click-through rate. When your visitors click this button, a new window will open to the target web page and your affiliate referral will be logged with the sale. Click to Copy – The good old fashioned method! For people set in their ways and like to show the coupons to their readers up front, this option presents the coupon code in plain sight, (no hiding behind buttons) and offers your visitor to simply “Click to Copy.” When they right or left click anywhere within the the coupon code box, the code will be automatically copied to their clipboard, the affiliate cookie is dropped and a new window will open to the target website. COLOR OPTIONS: Every module can be customized to fit your website in every way. We offer a dark and light layout option, as well as 6 different button color options. EXPIRATION: One of our favorite features, is the ability to control the type and layout of the coupon expiration date. Specific Date: If your coupon coupon has an actual expiration date, select this option and a calendar will appear for you to choose a specific date. You will be notified via email when the coupon code has expired so you can opt to renew it or remove it! Custom Text: This option provides a text field where you can write descriptions like: “No Expiration!”, “Buy it Today”, “Expires Friday” or any other text you choose to display within the red bar. Dynamic Expiration Date: The most effective method, this option creates a sense of urgency in your buyers by displaying the expiration as the current date, or a date that is X number of days from the current date (both are displayed in numeric date format). This Dynamic Date feature updates everyday so if you choose the “today” option, the expiration will always show that day’s date. If you choose “x number of days from now”, you get to choose how many days the X represents and the expiration will always show the current date + x days. Users have seen tremendous boosts in click-through rates using this feature as their readers want to take advantage of the deal NOW, before it expires. SUCCESS REPORTING: For users who want to track the success of their coupons, we offer the ability for your visitors to submit votes on whether or not the coupon worked. After the coupon is displayed (and hence after the affiliate URL is loaded), the user is encouraged to vote “Did this coupon work? Yes/No” by clicking the buttons that appear on the module. These votes are tracked within the Coupon Reveal Admin and you can even configure how often you are notified of a failed coupon code. You can choose to be emailed every time a “no” vote is submitted, or you can specify a number of “no” votes that a coupon has to receive before it will notify you. TITLE: Every coupon has a title field, which is the text displayed at the top of the coupon module. You can enter the name of the coupon here, or any other compelling text that will encourage the click. This text is limited in characters, but the font is sized dynamically as you increase or decrease the size of the coupon. DESCRIPTION: Horizontally aligned coupons offer space where you can write a description of the coupon. Here you can specify any particular terms, usability instructions, or even just use it as an extra “selling” space for why the user might want to click and purchase this product. SAVINGS: Each coupon has a gold seal where the coupon discount is displayed. This is entered as plain text so you can specify percentages, dollars off, or any other text that will fit into this field. SHORTCODE: Once a coupon module has been created, a line of shortcode will be displayed at the top of the Coupon Reveal Admin. This appears as a simple line of code that can be pasted anywhere within your WordPress blog – pages, posts, widgets, footers, etc. Copy and paste, its as simple as that! The code is dynamic so if you make any changes to your module at a later date, there is no need to update the shortcode on your pages, they will reflect any and all changes, automatically. We have run into quite a few people lately getting this error on their WordPress installation, so we figured we’d post the solution here as a quick fix for anyone else having similar issues. Of course the locations of the files listed in the warning will vary based upon your installation. The likely culprit, believe it or not, are spaces. Most likely while making some modifications to your store you inadvertantly left in a space either before the beginning < ?php tag, or after the last/terminating ?> tag within the page. Download the first file listed in the warning message (we recommend taking a backup copy, just in case). In the warning message above, it would be //home/wordpress/wp-config.php. We've also seen the error pop for spaces on wp-login.php pages, as well as the functions.php page within your theme folder (to name just a few). Once the page is loaded, simply make sure the FIRST thing listed in the file is a < ?phptag, and if there are any spaces before it, delete them. Similarly, if the page ends in a ?> tag (not all do), make sure any spaces after that are deleted. Save the file, and re-upload overwriting the old version of the file. Thats it! In 99% of cases this should fix your "cannot modify header information" errors within WordPress. ReviewAZON is the easy and simple way to add Amazon product reviews to your WordPress blog. Creating product review sites just got a little easier. ReviewAZON lets you build product review sites in minutes, not hours, allowing you to build more, promote more and make more money than ever before. ReviewAZON can save you a lot of time and effort by automatically retrieving the keyword-targeted affiliate products and associated REAL customer reviews from Amazon. Creating Amazon affiliate product review sites with ReviewAZON is so EASY! Forget about trying to add an Amazon store into your WordPress blog, ReviewAZON can easily turn your WordPress blog into an autopilot Amazon product review site with a professional look. ReviewAZON is the easy and simple way to add Amazon products and customer reviews to your blog. ReviewAZON allows you to display over 25 different pieces of Amazon product content, you can instantly get an attractive review site loaded with product description, customer reviews, manufacturer, average customer rating, pricing, product details, brand and more! You can choose the product information that you want to show your blog visitors.